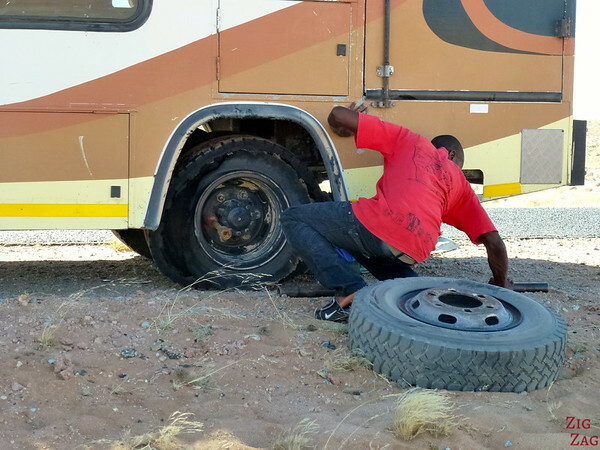 Getting ready to travel to Namibia? Wondering what to do to prepare and what to pack? Here is a compilation of information that I hope will be useful to you. First things first, is you itinerary ready? 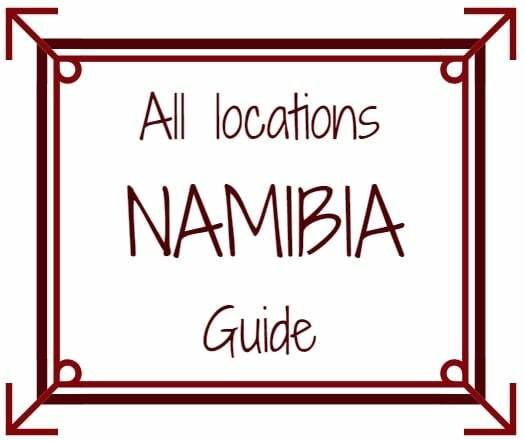 If not, check out the many places to see and experience in Namibia via ZigZag On Earth online travel guide. English is the official language in Namibia, so there is not problem to get around. Therefore, for this country I have no words to teach you and you have nothing to learn. Note that there are many dialects in the various regions of Namibia.​ The most fascinating one if the Damara. Just ask your driver to put on a radio station from the Damara people. It is full of clicks and clacks. Unbelievable! Check out this Youtube video to understand th﻿e﻿ click. You are probably a sensible person, but I still will remind you to not go for a walk in nature unaccompanied. Wild animals around! Malaria is a little bit present in the North of the country. I was the only one in my group to take medication for it although it is recommended. A mix of very light clothes for the hot days and warm jackets for the coastal area and the desert nights between June and August. It is not a clothing item, but do not forget to bring your binoculars (see how to choose a pair)! your zoom to capture the wildlife. We we sometimes quite close but not always. Some waterhole cannot be approached, and neither can some animals. You tripod. In the desert area (most of Namibia) you will be far away from light pollution. A great place to capture the stars! Check out my 10 best photos from Namibia! The money is the Namibian Dollar made of 100 cents. It is linked to the African rand that you can also use in Namibia. (However you cannot use your Namibian Dollars in South Africa so finish them before leaving the country). At the souvenir markets you are expected to discuss the price. 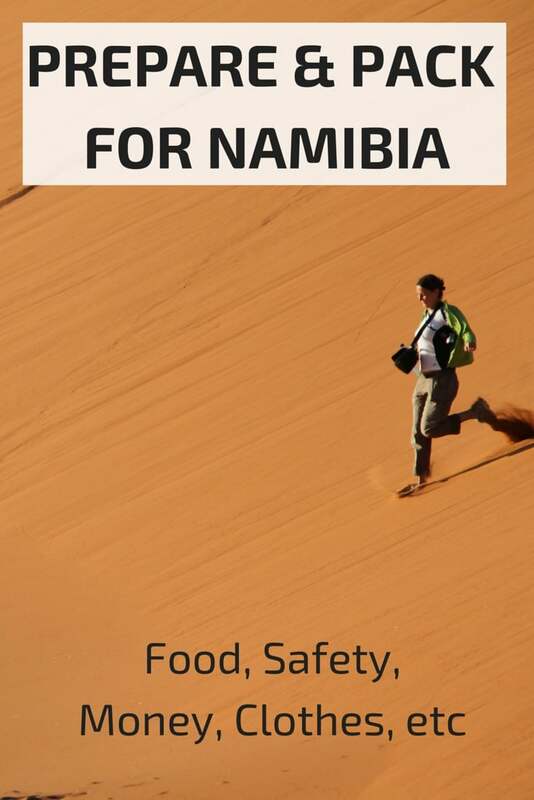 A lot of the food in Namibia revolve around the mead: ostrich, kudu, antelopes, oryx… Time for you to discover new taste. However as there as many ethnic groups in Namibia, there is no one dish that stands out as typical. 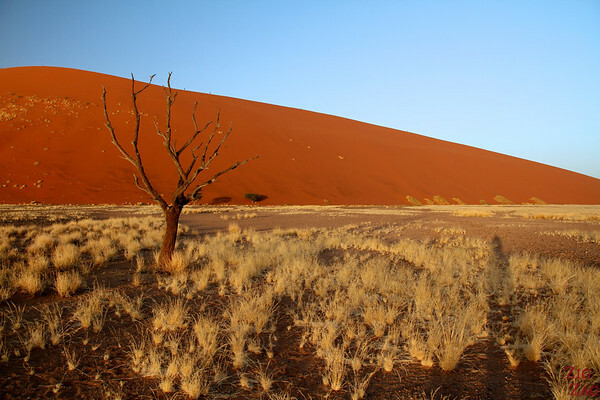 Namibia is a large country with coastal area and desert area. So you can have a wide range of weather and temperatures. In October, it was very hot inland and quite cool (even chilly) on the coast​. If you travel in June to August​, be prepared as it can get really cold at night in the desert. You can check out my description of the different climate in the Best time to visit section of the planning page. Don't forget binoculars. Your guide will have some pairs, but if you want to have them all the time, it is better to carry your own. Check out my guide to the best safari binoculars.